“Eurocom created the X5 gaming laptop so our gaming warrior clients could discover their dark side, the performance and design are unmatched” Mark Bialic, Eurocom President. 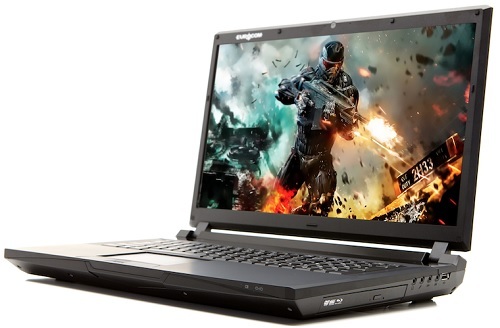 The EUROCOM X5 will be equipped with high resolution 17.3” 1920x1080 FHD and 3D displays, upgradeable extreme processors, next generation NVIDIA GTX 780M and 770M graphics, multiple storage options (up to 5 physical drives) and up to 32 GB of DDR3-1600 memory. To store the latest games and software the EUROCOM X5 can support up to 5 storage drives, with 2 mSATA solid state drives for fast boot up times and blazing responsiveness. The NVIDIA GeForce GTX 780M graphics card has 1536 CUDA cores running at 823 MHz with 4 GB GDDR5 memory running at 1250 MHz.